You and your child have made the exciting decision to join "Training Band". Here on the Northern Beaches of Sydney, that usually means they are going into year 3 and have been through a recruitment process including "Blow Tests" or "Tryouts", a "Band Info Night" and answered a questionnaire with a variety of information including measurements, personality traits and transport logistics. All of this has culminated in the Band Director sending you an "offer" of which instrument your child loves the sound of and is likely to thrive on. Now it's time to book a tutor. I'd like to share my insight in weighing up the pros and cons of the various options, as well as some general considerations worth thinking about. This gives your child the very best opportunity to fall in love with their instrument and thrive. This gives your child access to the very best fundamental technique right from the beginning, but at a significantly lower cost. Good foundation laid from the best tutors. Great for socially or competitively motivated students. Excellent for learning listening, blending, tone and intonation development. Group pacing, if parents aren't insisting on regular home practice, a large gap can emerge. In the first year, in my opinion, this is always down to practice quantity and never due to "innate talent". While top tutors will incorporate a range of learning styles within lessons, group lessons necessitate less customisation and adaption for individual students. This usually offers the cheapest option. Parents often think "we'll just start with the cheap option and see if insert child's name loves it and wants to continue, then we'll move to a more experienced tutor." In my opinion, this is a big mistake. The first 6 months to 1 year of learning is when all the really important technique and habits are laid. (e.g grip - how you hold your instrument, embouchure - for wind instruments, how the lips, jaw and tongue interact with the mouthpiece to control pitch, tone and volume etc). As a broad generalisation, I feel students would do much better in a similar priced group lesson with a top tutor for the first year, then switch to individual lessons with a cheaper tutor. These tutors are very capable of doing a wonderful job teaching repertoire, putting your child through exams etc. Remember, being able to play an instrument well is a completely different skill to being able to teach it well. There are many top level professional players who make for awful teachers. Some of the best teachers don't perform at the top level much anymore. Bad habits and technique can form which is very hard to correct later. This list is adapted from Rob Hamptons wonder teachers resource www.greatestgig.com, where has created a tool for teachers to calculate how much they should charge. I have taken the relevant parts and switched it around to the Parents perspective. While not critical to being a good teacher, a formal education is a powerful signal to that a tutor is committed and knowledgeable. Teachers who can play a variety of genres, techniques, and instruments can offer their students a richer experience. Note: some teachers, like myself, offer lessons across multiple instruments. This can be a wonderful asset. However, it is imperative that they do actually play your chosen instrument to a significant level and preferably have played it in high level ensembles. 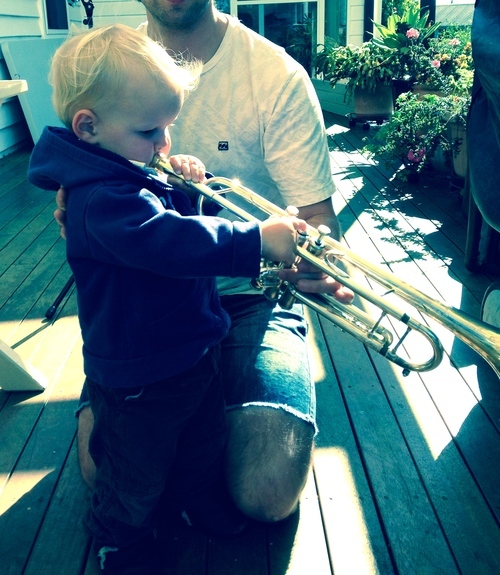 If your tutor is teaching trombone, but only every turns up with a trumpet, this is a very bad sign. I encourage multi instrumental teachers to bring a variety of instruments to lessons, so their students learn to listen, blend and match those different pitches and timbres. However, the majority of lessons should be taught on the instrument your child is playing. One of the hallmarks of a great teacher is their ability to adjust to the unique needs of their students, enabling them to easily pivot when an approach isn't working. All Students have different learning styles, personalities and concentration spans. 3 main learning styles are; Visual - learn best by seeing, Auditory - learn best by hearing and Kinaesthetic / Tactile - learn best by touching and interacting. Many "old school" teachers tend to focus solely on visual learning. For some contemporary drum and guitar teachers, it's limited to Auditory and Kinaesthetic. Wind Band musicians, like we are training need some proficiency in all three. But tutors which can embrace your child's natural learning style to build confidence and then incorporate the others over time will achieve much better results for your child. While years of experience don't always correlate with quality of teaching (long-time teachers can burn out, and new teachers can be fountains of enthusiasm and innovation) there is still no substitute for experience. Teaching an instrument is not a "cookie cutter" one size fits all process. Only with experience do teachers learn how to best approach different personalities, technical challanges a child may have or even physical characteristics which require a different strategy to get the best results for your child. This is the most important aspect to consider when choosing your teacher; their track record, do their students thrive? Do you know of other children who have learned from the tutor? Have they done well? Are their parents happy with the professionalism and communication they receive from this tutor. Does the tutor have a website with useful information? recording repertoire and sending it home, so students can hear how it goes. This is especially useful for strong auditory learners (they learn best by listening rather than reading / watching). using YouTube and other online resources for inspiration and broadening a students exposure to their instrument. A critical factor in student happiness, and ultimately, their ability to learn. Some tutors do well with bringing quiet, shy students out of their shell, while others thrive with the boisterous but lacking focus type. The chemistry between tutor and student is one of the most important factors in the success of a student on their instrument. Often, this one factor can prove more important than the tutors skill, experience or track record. When a student hasn't clicked with a Top Level professional tutor, this can be a good reason to try a younger, less experienced tutor, if you feel they are going to be a good match with your child and inspire enthusiasm and practice.